That perfect look requires the right tools. Crafted by master artistans, Le Métier de Beauté's Brush Collection are the tools every woman needs for exemplary professional cosmetic application. Each brush was carefully designed with traditional Japanese brush-making techniques, innovative technology and high quality materials. 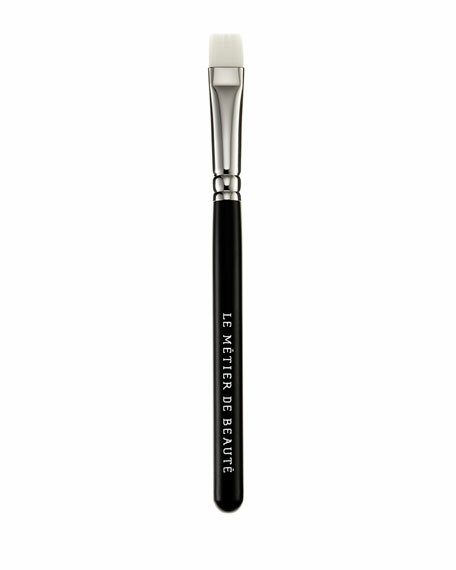 This multiple-purpose Flat Brush is the optimal shape for the top and bottom lash line. The straight edge bristles allow for precise, bold color placement. For in-store inquiries, use sku #1812656.